The girls are really excited to be back in the Secret Kingdom! But not everything is perfect. Wicked Queen Malice has hidden a thunderbolt in Unicorn Valley. 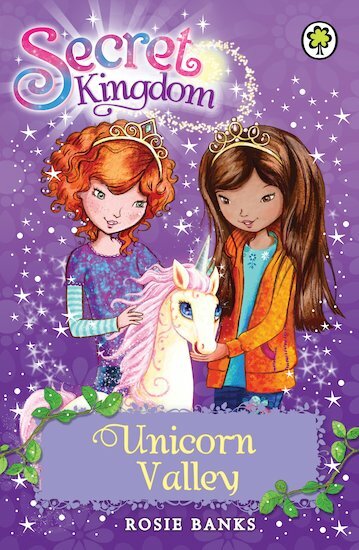 Can the girls and their unicorn friends save the magical land from hundreds of greedy caterpillars, who want to gobble the greenery up? IT IS AN AMAZING STORY . I WOULD LIKE TO THANK ROSIE BANKS FOR WRITTING SUCH A AMAZING STORY . I LOVE IT VERY MUCH.